Earns first, third at Marshall U. The East Clinton Marching Band on the field at Marshall University. 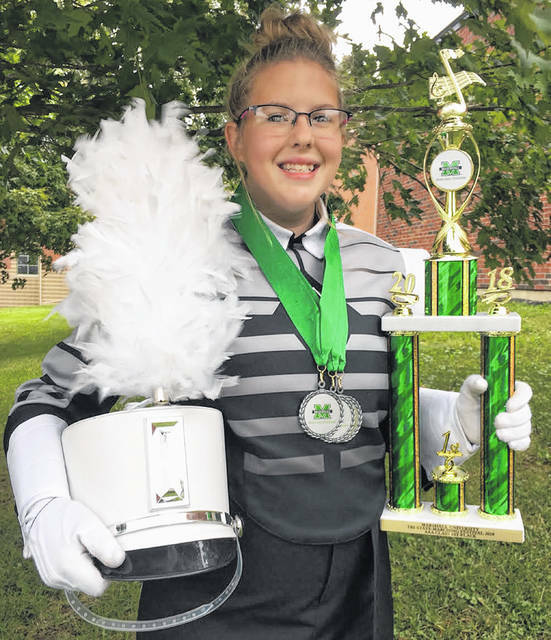 EC Drum Major Cheyenne Berry with the AAA first-place trophy along with second-lace medals for drum major, percussion and colorguard. The East Clinton Marching Band traveled to Huntington, West Virginia on Saturday, Oct. 13 to participate in the Tri-State Marching Band Invitational hosted by Marshall University. 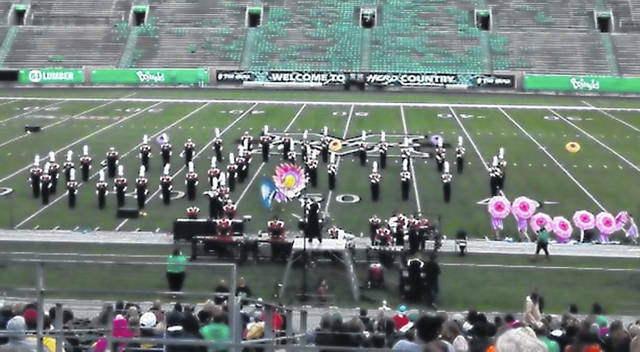 The day-long contest held at Joan C. Edwards Stadium drew 22 bands from West Virginia, Ohio and Kentucky, and concluded with a performance by the Marshall University Marching Thunder. The EC Band came home winning first place in class AAA and finished third overall out of the 22 bands. EC Band Director Samuel Minge said of the contest, “This one was at the front of our minds since summer rehearsals. It was a new and exciting experience for the band members, and one of our goals this season has been to get in as many large stadiums as possible before Grand Nationals in Indianapolis this year. The band moves on to their next event at Thomas Worthington High School on Saturday, Oct. 20.